Lettuce is back! Potatoes, cabbage, beets, horseradish, carrots, tomatoes, corn-on-the-cob, peppers, beans, cucumbers, eggplant, blueberries, raspberries, garlic, onions, potatoes, summer squash, zucchini, winter squash, lettuce, Swiss chard, kale, syrup, a variety of herbs and cheeses and more will be available this week. A Summer Place Farm, 389 Tremont Street, Rehoboth will have farm fresh eggs available from their grain feed Aracana chickens. They are free range chickens and lay blue eggs. On The Edge Knife Sharpening will be here. Come early to get your knives, scissors and yard tools sharpened as her time sells out quick! Maple Syrup and pumpkins this will be available this week and Langwater Farm will be taking reservations for a Winter CSA. GotSun-GoSolar will be promoting the use of renewable energy in Massachusetts and Southern New England. They provide products and services that conserve natural resources, reduce our dependence on imported oil, and save clients money. edible South Shore, will be on hand, a quarterly magazine that celebrates the abundance of local foods in Southeastern Massachusetts. Welcome back to the Attleboro Public Library with The Big Read kickoff to celebrate International Literacy Day. They will be distributing free copies of “to Kill A Mocking Bird”. Emily Johnson, of Emily’s Garden, will have homegrown zinnia bouquets. The Attleboro Historical Preservation Society will be on hand selling the limited edition Christmas Ornaments! 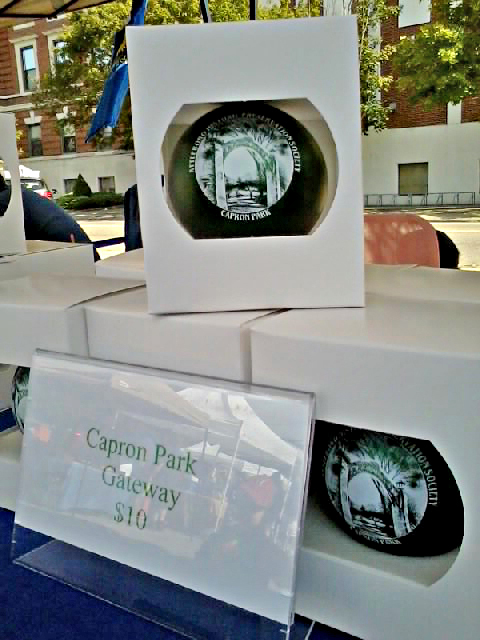 The third edition features the Capron Park gateway. Natures Intention has wonderfully scented candles! Nason Family Honey has the best soaps and lotion! Martha Maynard has her hand woven scarves and table runners! Visit the Managers’ tent to pick up discount coupons for New England Tire and SpeeDee Oil Change, and Attleboro Farmers Market shopping bag or T-shirt. A new order of T-Shirt is now in. 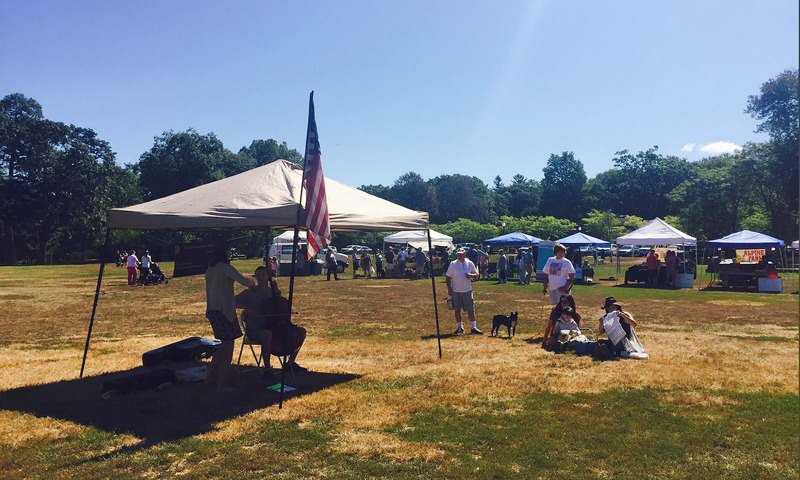 Thank you to The Sun Chronicle for sponsoring the Attleboro Farmers Market-Blue Shopping Bags, to Supply New England’s Kitchen and Bath Gallery as the primary sponsor for the new Sunflower T-Shirts and the additional T-Shirt sponsors – Nelson Family Dental, Sangria’s, Haskell Bus Charter Services, Inc., Flynnstall Audio Visual Wizardry, and Conti Real Estate, all of Attleboro. Shopping bags and T-Shirts will be available for a donation to Attleboro Farmers Market, a not-for-profit company.